Cully Corporation is an ANCSA Corporation that was established in 1971 and currently has 10 employees that are housed in Point Lay, Alaska and Anchorage, Alaska. Currently Beluga Construction Company, LLC has and 8(a) status to work with the Federal Government as well as local alaska businesses. Beluga Consolidation & Logistics is housed in Anchorage and services primarily to the North Slope. 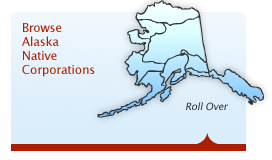 Kali Services, LLC was established with Alaskans in mind, we are here to serve you. Mound up with Kali Service, LLC.